I could honestly name about 10 people who have been shocked that I can make sweet potato fries with crunch in the oven. I have always done it, as they are a favourite for the kids. 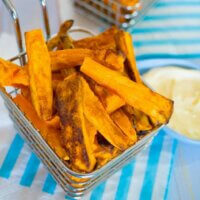 These are the best ever sweet potato fries and they are so delicious! We love including sweet potato in our meals, and one of the reasons is they are so versatile, so very versatile. 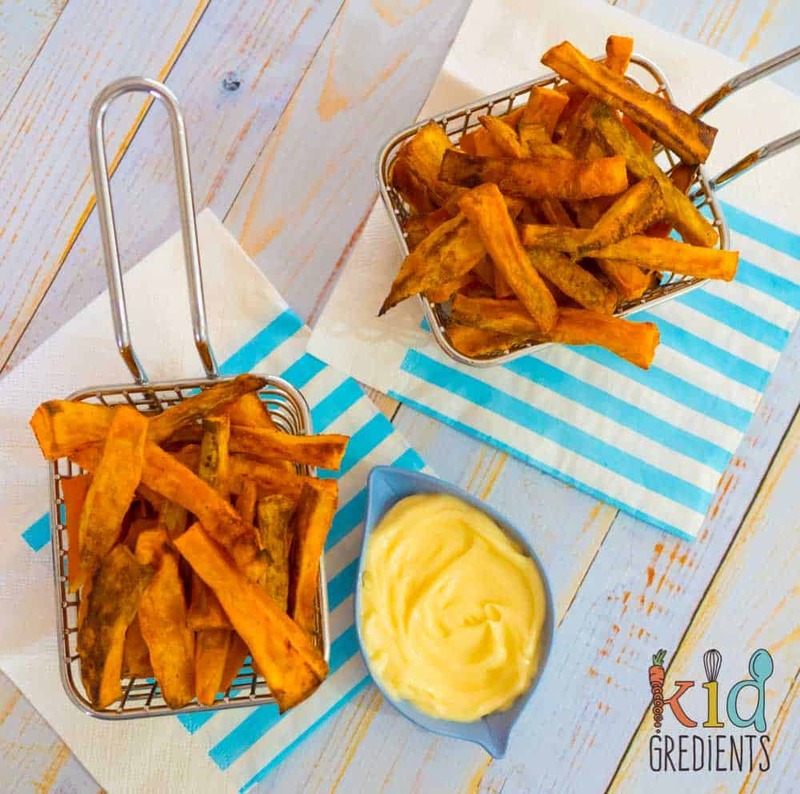 They can be used for anything, from mac and cheese through to sweet potato choc chip muffins…but the way to make them shine is to serve the simply as fries! 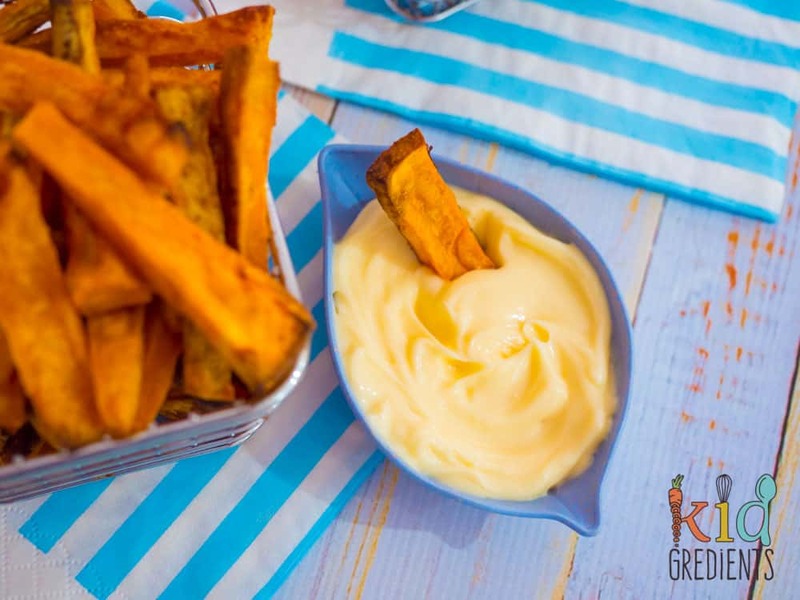 These are the most awesome kid pleasing fries ever! Seriously, I don’t understand why people buy these pre made and frozen when they are so simple to make. 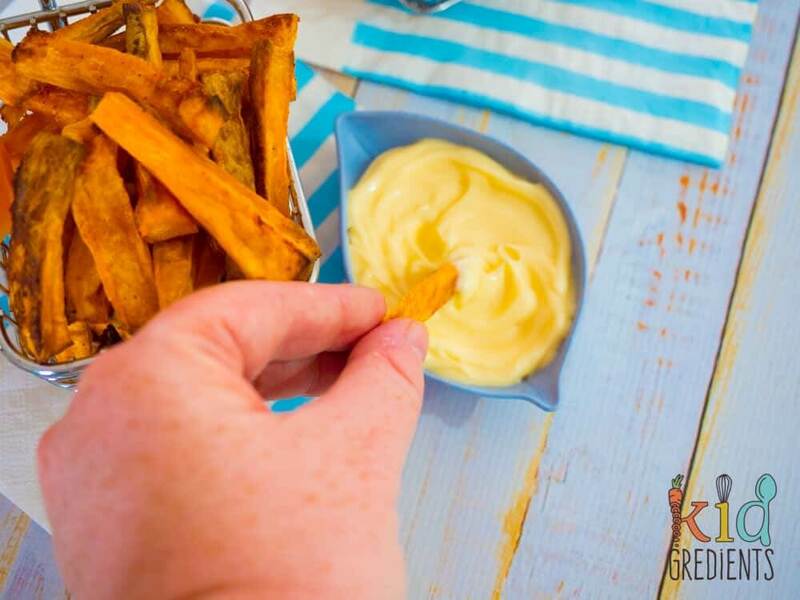 After making these, I realised that a chip cutter would be an awesome idea for making these and if you have one, make sure you put it to good use to cut your fries these as it will chop your sweet potatoes perfectly for you! I have one on my mandolin…and I should have used it…instead I painstakingly cut each chip by hand. I have to admit, these are amazing on their own…but add some homemade mayo (or your favourite storebought) and they are just fantabulously gobsmackingly awesome. Kids love them because they are cut as fries, and fries taste better whatever they are- if you don’t believe me check out these zucchini fries. 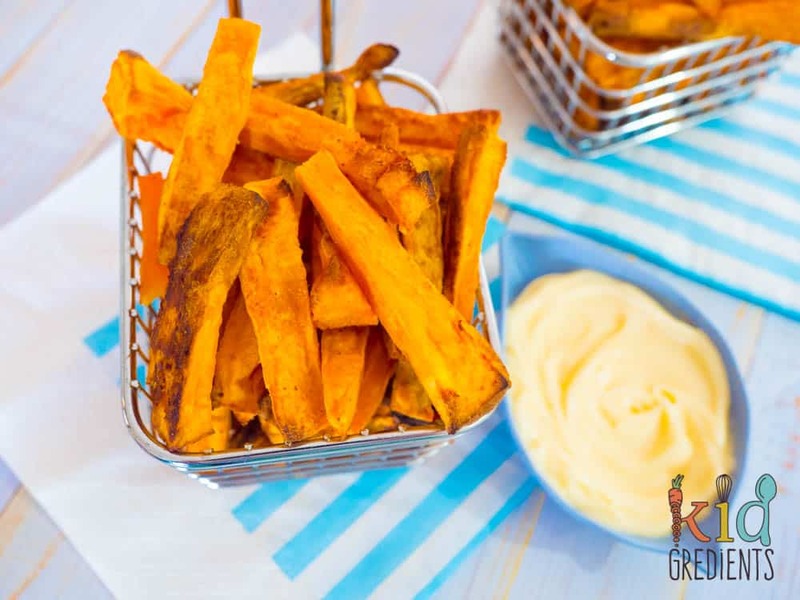 We love serving sweet potato fries as a side dish with some veggies and chicken strips, and they basically go with anything! Double the batch if you’ve got a crowd for dinner and just make sure that none of them are touching each other on the tray! 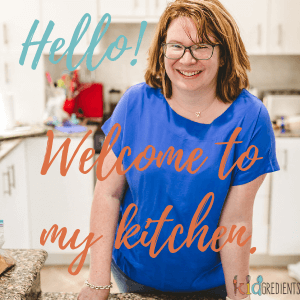 Best ever sweet potato fries, oven baked, super yummy and kid friendly! Preheat oven to 210 degrees celsius/410F. Cut the sweet potatoes into chip shapes and place on lined trays. Spray with olive oil, making sure each chip has a coating. Shake the trays to coat. Bake for 40 minutes at 210 degrees celsius/410F. Previous Post: « Super easy 3 ingredient flatbreads, no rising!